How will demonetisation affect the kidâ€™s retail in India? How will demonetisation affect the kids retail in india? Children tend to go through things at a blindingly high speed. They grow out of clothes within months. They break toys every other day. The recent demonetisation has taken a huge toll on kid’s retail and retail industry in general. While the industry just started to boom due to festive season, the government’s decision has hit the market badly and has slowed down the overall consumption. Majority of the transactions by Indian consumers happen via cash. Consumption has declined due to less cash in hand and spends on products related to fashion and entertainment, other than daily and basic necessities have taken a hit. Children tend to go through things at a blindingly high speed. They grow out of clothes within months. They break toys every other day. Their food perishes quickly. It is not long before you start seeing the bottom of their hygiene product bottles. Virtually every nook and cranny of their lives equates to fastpace. One can’t fit a 6 months old baby into an onesie meant for 3 months old. These facts are the reason why kid’s retail is one of the most lucrative segments in the global apparel industry. It is affected by neither economic dynamics nor new fashion trends; even the meltdown on the global economy didn’t make it stumble. Though demonetisation has slowed down the retail segment, the kids’ category in such a way that sales will happen and the industry will recover fast as compared to other categories. Due to cash crunch, the purchasing decisions of the customers have shifted to their immediate needs. Where urban population has no difficulty in paying through credit cards or debits cards, the rural population is going to suffer the most. Objects like kid’s bikes, toys or ride-ons may see temporary sales slump. 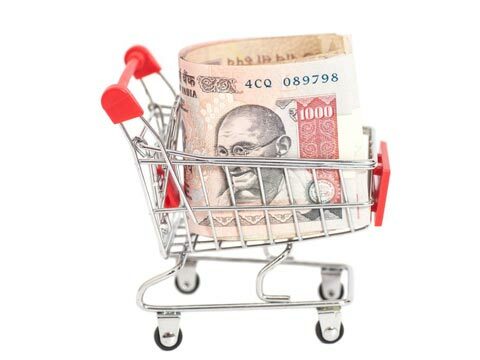 Majority consumers in India use cash. Plastic money is still for emergencies or immediate needs. This means consumption of anything that is not a need will see a downfall of about 30%. Demonetisation has resulted in visibly reduced footfalls at the store for impulsive purchases in kid’s retail segment. Given the cash-sensitive situation sales of high value articles like princess dresses, apparels etc will be a little sluggish and will take some time to witness normalcy. The bad news: it will take atleast two more quarters for the industry to see a rise in its numbers and figures. The good news: There is no shortage of potential consumers and effect of demonetisation is temporary. The second cash-crunch disappears and purchasing power improves, consumers and potential consumers will be back with a ravenous appetite. The hopefully-not-ugly news: As long as there are no further surprises from the government, in the long term children’s retail sector will show resilience and growth. How GST has impacted the textile industry?